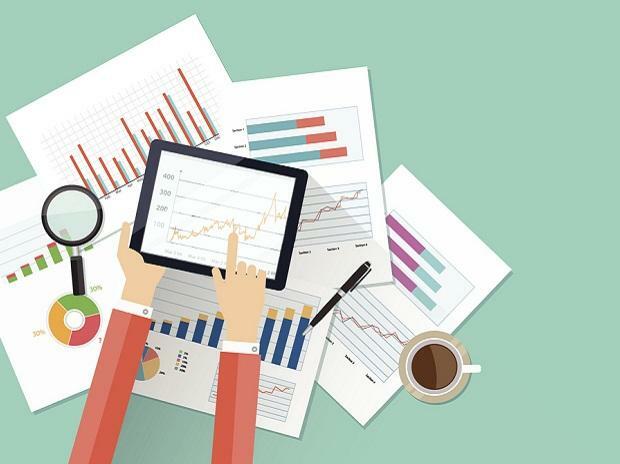 Even as more than a third of mutual funds’ (MFs) debt assets under management (AUM) are exposed to non-banking financial companies (NBFCs), fund managers are curbing fresh flows to commercial papers (CPs) of NBFCs to avoid taking undue risks amid tight liquidity. 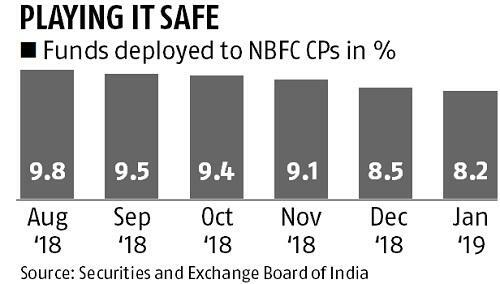 According to Sebi data, the share of funds deployed to CPs of NBFCs slipped to 8.2 per cent in January. From close to 10 per cent in August — before the IL&FS crisis — the drop has been meaningful. The January number is the lowest for the past six months. Analysts say MFs’ funding towards NBFCs is likely to remain muted. “With new pressure points like loans against shares and corporate governance questions on some housing finance companies (HFCs), risk-aversion by MFs in funding NBFCs/HFCs should continue,” said Nomura analysts in a note. The analysts pointed out that MFs’ exposure to NBFCs and HFCs declined from the peak of 42 per cent of the debt AUM in September last year to 35 per cent in January this year. With the above decline in AUM exposure translating into a contraction of Rs 90,000 crore, NBFCs’ funding challenges cannot be ruled out.